This is not trick neither magic, what you don't know is still your master. This is for few people that doesn't know how to do it, if you are the type that doesn't receive inbox messages that much then you don't have to use delete all since you can still random select and delete. Yahoo is one of the largest electronic mail supporter that allow you to be flocked with a lot of messages and yet still demanding for me. You can have up to 20,000 messages in your yahoo inbox and yet you still receive inbox. Most of the time you decide to delete but seeing the number you get discouraged knowing fully that you can only select 50 at a time, if you want to follow normal procedure just divide 20,000 by 50 and you see the number of times that you will have to keep selecting until you empty all. Today you just learn something simple and you get done with it, you log in to your email first and you follow the following steps that will be listed with the picture illustration. You wait for some seconds and it search through your inbox and list out all the email content that have "a" depending on the content search for. Then you have your inbox empty. 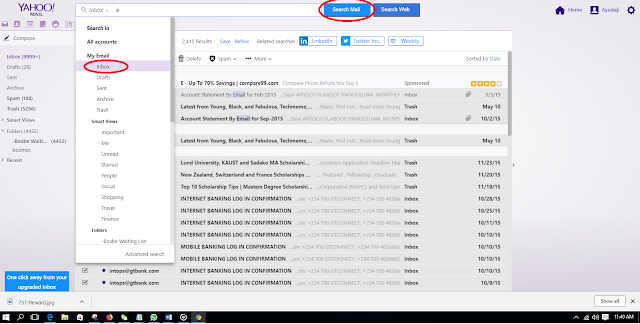 In case you notice after first process you still have some content or you still have huge figure do it again following the same process and in the option bar beside search bar select any other inbox folder added and click on search again and list out all the content then delete. Note: when you type letter "a" in the search box and you notice you still have some content then select another letter like "c" and search again then do it for inbox and other until you delete all. 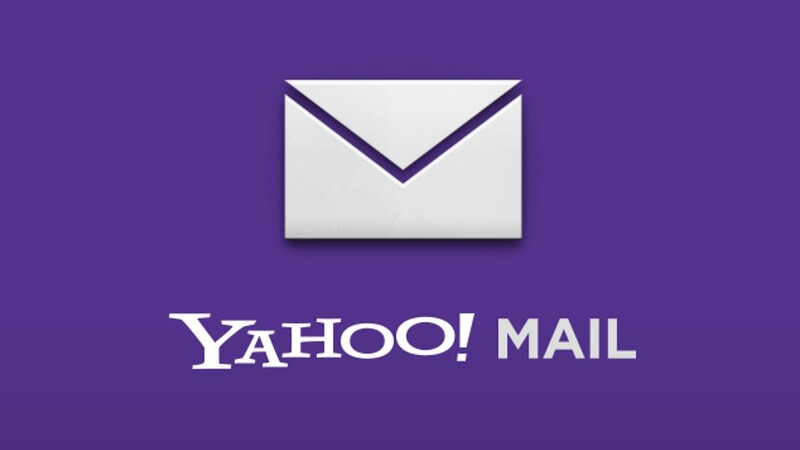 Hope these render a little help on how to delete all junks in your yahoo inbox, if yes share with others and also leave your comment.